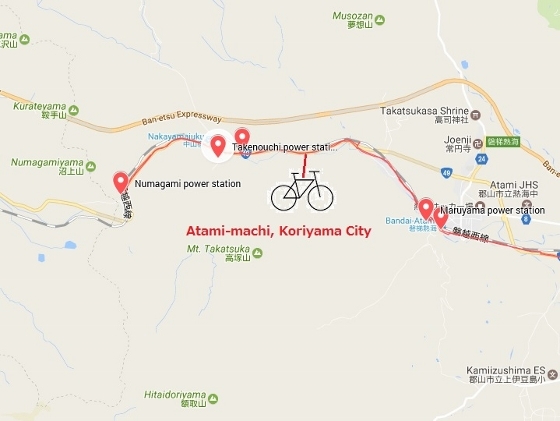 Today I traced three traditional hydroelectric power stations powered by Asaka Canal in the outskirt (Atami-machi) of Koriyama. 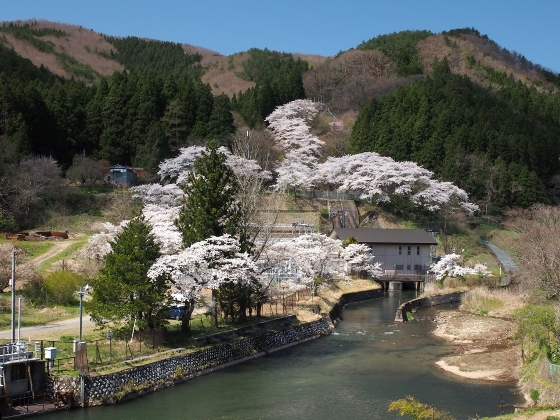 One of them, Takenouchi power station, located on a mountainside was surrounded by late cherry blossoms as shown above. 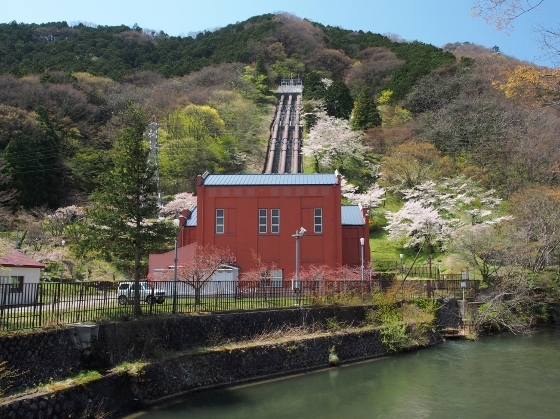 Numagami power station is located in the highest position close to Lake Inawashiro where the water comes from. You can see some of the canal water falling down right beside Numagami power station as shown above. This water is fed into Takenouchi station in the downstream. 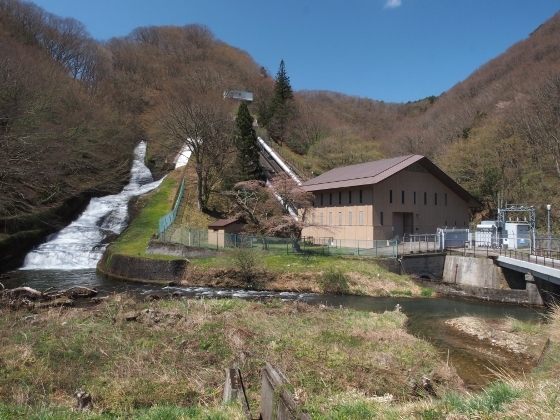 Finally the water powers the third hydroelectric power station, Marumori power station as shown above. This station is located in the center of Bandai-Atami town. Photo above shows main stream of Asaka Canal running through the backstreet of Bandai-Atami town. 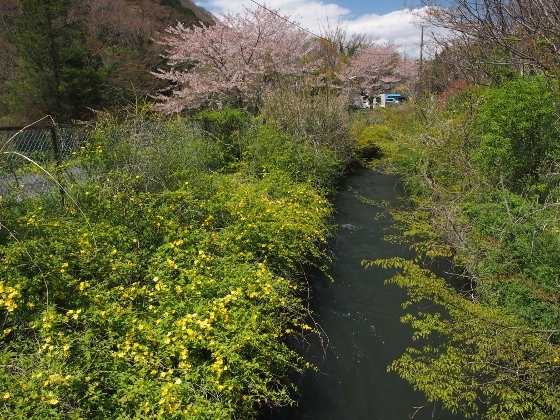 The stream then flows into a large area of Asaka plain divided into seven sub-channels. 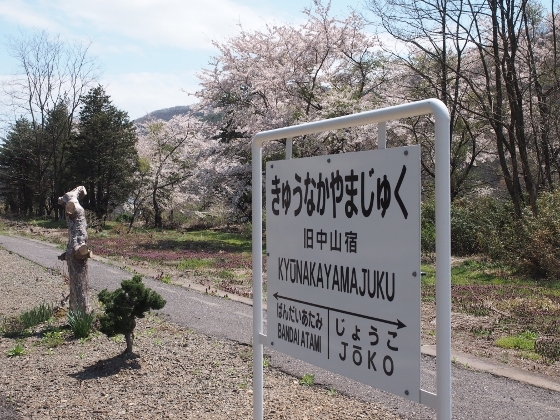 Meanwhile, I stopped at an old Nakayamajuku Sta. of JR Ban-etsu West Line. 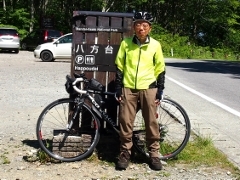 This old station had been used for about 100 years until 1997 for switchback hill climbing. The first photo shows the old station. 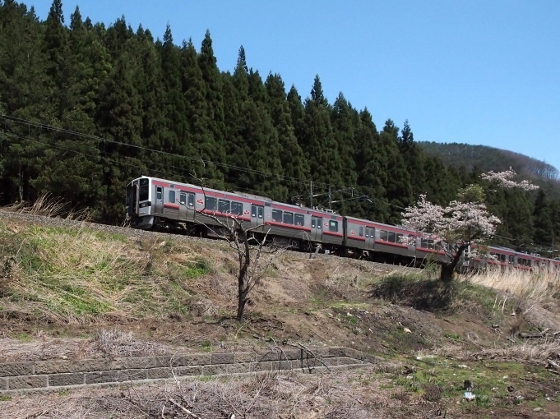 The second photo shows Ban-etsu West Line train traveling on the current track taken from the old station.